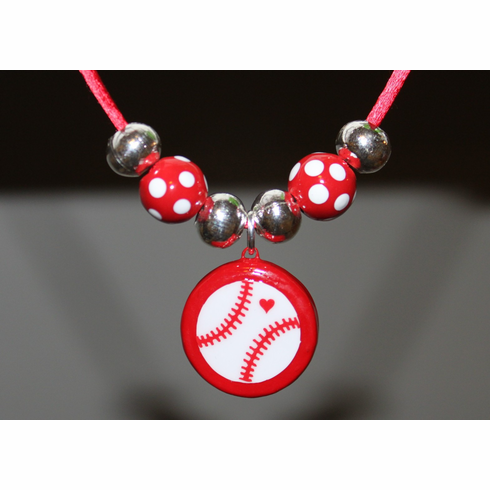 Red handmade 1" porcelain pendant features white baseball with red stitches. Necklace includes 4 silver and 2 red & white polka dot beads...giving this necklace a unique look! Red 16" satin cord necklace with 2" silver tone extension and lobster clasp.